Minutely hazy golden yellow color. Inviting aromas and flavors of cookie dough, corn flakes, hint of dried pineapple, and clay spice jar with a supple, bright, finely carbonated, dry-yet-fruity light-to-medium body and a tingling, interesting, very long finish that presents accents of honey roasted nuts, bibb lettuce and radicchio, and pepper cracker finish. A pure, rich and flavorful Pilsner that is sure to please and finishes for a mile. 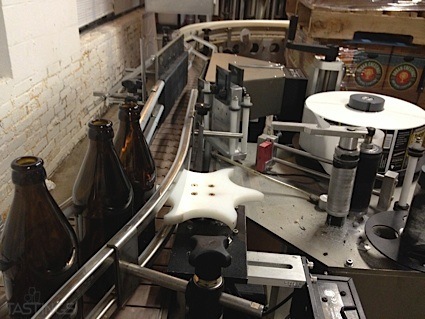 Bottom Line: A pure, rich and flavorful Pilsner that is sure to please and finishes for a mile. Pilsners are pale to golden straw in color and range in alcohol from 4.5-6%. The hallmark of a fresh pilsner is a dense, white head. The alcohol levels must be such as to give a rounded mouthfeel. These beers are medium-bodied and are characterized by high carbonation and tangy Czech and German varieties of hops that impart floral aromas and a crisp, bitter finish. This style originated in Bohemia in the Czech Republic. German pilsner styles are similar, though often slightly lighter in body and color. Noteworthy examples of this style include: Pilsner Urquell, Paulaner Premium Pils, Brooklyn Brewery Brooklyn Pilsner and Victory Prima Pils. 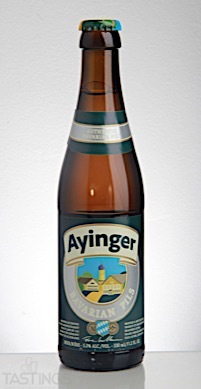 Ayinger Bavarian Pils rating was calculated by tastings.com to be 94 points out of 100 on 9/8/2017. Please note that MSRP may have changed since the date of our review.